The B.C. government is introducing new legislation that it says would attract more LNG projects to the province, in part by granting tax credits. 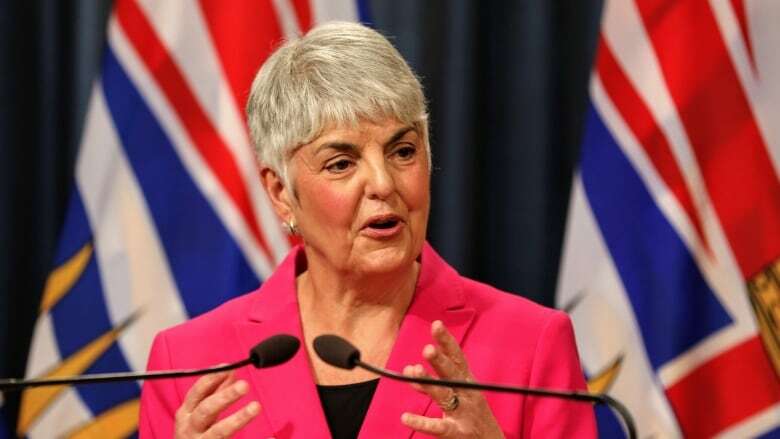 Finance Minister Carole James said the proposed changes will bring thousands of jobs to B.C. "British Columbians are counting on us to attract LNG investment that meets strict conditions: delivering jobs and financial benefits to B.C., creating economic partnerships with Indigenous peoples and protecting our clean air, land and water," James said in a news release. "This legislation completes the process of creating a fiscal framework that invites investment while supporting those conditions." The legislation, which attracted immediate disapproval from the Green Party, includes an amendment to the Income Tax Act to provide a tax credit for LNG development, as well as the repealing of two existing acts. If it passes, both the Liquefied Natural Gas Income Tax Act and the Liquefied Natural Gas Project Agreements Act would no longer be in effect. Both acts set out the previous financial framework for LNG projects in B.C. Green Party Leader Andrew Weaver said the new legislation sends mixed messages about the government's commitment to addressing climate change. "Continuing to push for LNG development is short-sighted and works directly against CleanBC objectives," Weaver said in a statement. He described the decision as "a generational sellout" that will only serve to increase greenhouse gas emissions. "After years of criticizing the BC Liberals for their generous giveaway of our natural gas resources, the B.C. NDP have taken the giveaway to a whole new level." Last fall, LNG Canada announced it would go ahead with a $40-billion project in B.C. The development will see a pipeline carrying natural gas from Dawson Creek to a new processing plant on the coast in Kitimat. Karen Ogen-Toews, who heads the First Nations LNG Alliance, believes that project could be a windfall for Northern B.C. communities. "There's a definite opportunity. Once the pipe is in the ground, our community will be seeing legacy payments." She says Northern B.C. towns have suffered wildfires, lost logging and mill jobs to pine beetles and watched mines close. She is applauding the tax breaks and tax credits which she says are needed to get B.C. gas to market. With the Greens dead set against the measures, the government will now need to count on support from the opposition to make them a reality. Liberal MLA Mike de Jong said his party wasn't rushing to support the legislation just yet. "No surprise we are supportive of the establishment of an LNG sector," de Jong said. "We're going to study the legislation, obviously."